With many businesses now hosting business blogs on their website is it worth the time an effort to start one of your own? While there are many different things to focus on when running a business we look at why a business blog should make your list. How do your customers find you? Whether you sell online or customers just Google to find your address, for most people the first point of call is the internet. 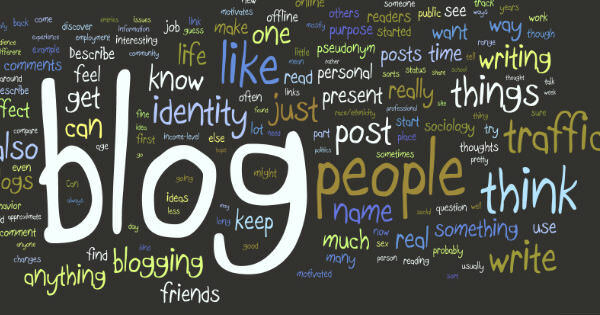 Hosting a blog can help improve your SEO (search engine optimisation) and push you up the search rankings. So how does this work? When you or your customers Google something, complex algorithms go to work to seek out the most relevant matches on the internet and put them at the top of the page. As these algorithms get more complex they are increasingly looking for informed, quality sentences rather than just a key word alone on a page. This means hosting a business blog and writing a paragraph about a product or service you offer will provide more value in SEO ranking than just listing it. Once your customers or clients have done a Google search how do they differentiate you from your competitors and make an informed choice about who is the right fit for them? Regardless of if you are the market leader or a brand new player your customers are looking for expertise. Running a business blog, either through your own website or on a stand alone blogging site can show them you’re an expert. Not an expert yet? Fake it! Show your customers you are passionate and committed to what you do by doing your research and once you’ve got it covered tell them what you’ve learnt. Not only will they get to see your enthusiasm and passion but you’ll get the chance to learn something too. Another important legacy writing a blog creates is great customer relations. Let your personality shine and give readers a chance to get to know you. Even if they interact with you entirely online and you never meet, you will build loyalty and create a customer base who feels like they are getting the personal touch every time they interact with you. This can even make your life easier if you have to manage negative feedback as people will feel more comfortable approaching you directly as their first point of action rather than leaving their comments publicly for all to see. Most importantly your business blog can make you money. Take some time when you’re starting out to learn how to link effectively, but sparingly. This encourages people to click through to the product or service you are talking about. You should also take the time to set up a header, footer and any other fixed image elements to link through to your site to make it easy for people to get there. Finally don’t forget to include a way for people to contact you by having your contact details or a comments section. It can seem like a big investment of your time at first but don’t forget there are no rules about when and how you have to blog. The only important thing is getting started! Here’s 5 statistics to prove that your business needs a blog. We are here to help. If your business blog requires attention, or if you simply need a hand with writing articles, give us a call. The advice we provide is always free.